These stocks are your father's dividend stocks. Father's Day is a good time to reflect on lessons passed down from loved ones of previous generations. Here is one from my dad: "My total dividends column is the only one I really care about. The rest are for entertainment." Let's look at companies that play a role in the daily lives of many dads. We'll leave entertainment noise out and instead examine the main variables to look at to keep a safe and healthy growing total dividend column. 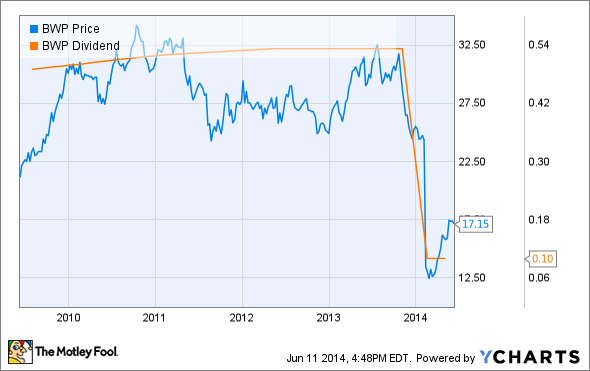 Chevron (NYSE:CVX) -- Dad needs gas for his car; how else will he get to work? Procter & Gamble (NYSE:PG) -- The company owns Gillette, and Dad has to shave every day. Coca-Cola (NYSE:KO) -- After a hard day of work, what could be more refreshing? Next, let's look at the factors that make a good long-term investment. Ask any dad and they'll tell you not to wander too far out on the branch -- it isn't safe. There's no use in counting on a dividend that's at risk of being cut. Don't believe me? Consider the case of Boardwalk Pipeline Partners. Dividend cuts are a double whammy. First, your income evaporates and then the shares follow suit. That combination makes for a sad dad. Avoid these dividend cutters. But how could you have known in advance that Boardwalk's yield was at risk? One way is the payout ratio. Boardwalk's was more than 100% for six years leading up to the cut. That's not sustainable. As Herb Stein observed, anything that can't go on forever won't. Result: Boardwalk cut its dividend and shares were hammered. Dividend payout ratio is a simple way to ensure your stocks stay on the safe side of the street. As a general rule of thumb, 60% is an upper bar and the "Dad stocks" we've mentioned today have mainly stayed below that. 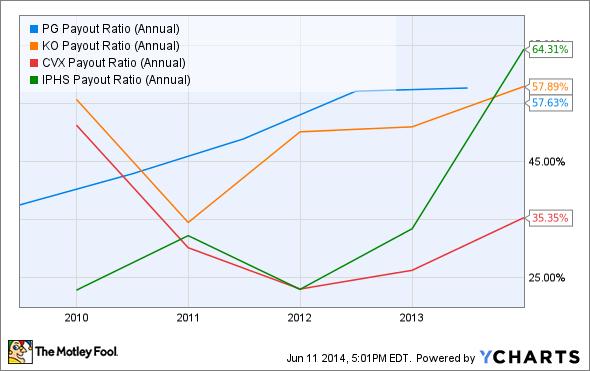 Innophos' payout ratio has recently spiked up to where it needs to be watched more closely. Given enough time, quality shows itself. High-quality companies should be able to deliver 15% or better return on equity year in and year out. As a manufacturer, Innophos makes for a bumpier ride than the rest of the group. Coca-Cola stands head and shoulders above the rest of this group with its more than 25% return on equity. Now that we have a rough check of dividend safety and overall quality, let's turn to dividend growth. This is where we see the total return column grow. These companies' dividends look safe and safe to continue due to the quality of their operations. Better still, this is solid, sustained dividend growth. How many people do you know that received 8%-16% raises every year for the last five years? OK, but how much is this all gonna cost me? Dad's been around long enough to know you have to pay a reasonable price for quality. The current P/E ratio for the S&P 500 is 19, which is on the high side. Three of the four companies in our group are priced higher than the market average. So what should investors do? The historical metrics look reasonable. There are encouraging forward-looking signs -- Coke already does business in 159 countries and is pushing for more international growth, Chevron has massive new projects coming online, Procter & Gamble's new/old leadership, and Innophos is refreshing old plants in Mexico. 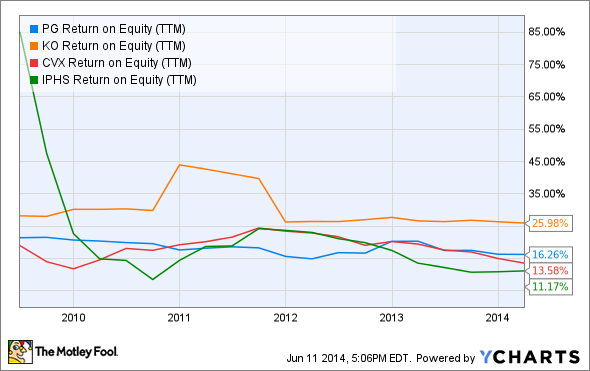 Which of these companies best meets the goal to protect and grow the total dividend return? My vote here goes to Coke. 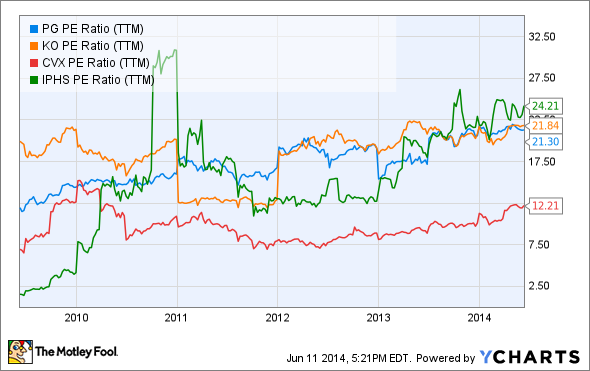 Coke has the highest quality metrics, which protects its dividend payouts. On the upside there's ample opportunity for international growth. The company is committed to maintaining its dividend. Coca-Cola has paid quarterly dividends since 1920 and raised its dividend each year for the last 50 years. Clearly, this is a company that investors can count on for paying dividends far in the future. What could be better than protected and growing income streams? Why not crack open a Coke this Sunday and discuss it with the old man?